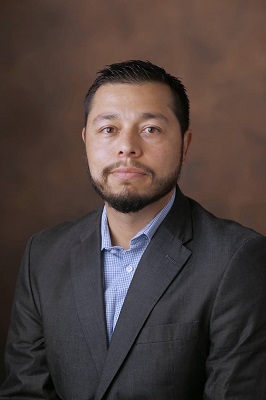 Jesus Gomez-Velez is an assistant professor in the Department of Civil and Environmental Engineering. His research combines numerical and analytical modeling, data mining and assimilation, and field and laboratory observations to gain a deeper understanding of how water, solutes, and energy move through landscapes and river systems and the implications of these transport processes for humans and ecosystems. Currently, most of his work focuses on the interactions between surface water and groundwater at multiple spatial and temporal scales, ranging from small river bedforms and reaches to continents. Jesus holds a Ph.D. in Hydrology from New Mexico Tech. He also received a B.S. in Civil Engineering from the National University of Colombia at Medellin and M.S. degrees in Applied Mathematics and Hydrology from New Mexico Tech. Before joining Vanderbilt University, he was an assistant professor of hydrology at New Mexico Tech (2015-2018) and a National Research Program postdoctoral fellow at the U.S. Geological Survey (2013-2015). • Schmadel N. M., J. W. Harvey, R. B. Alexander, G. E. Schwarz, R. B. Moore, K. Eng, J. D. Gomez-Velez, E. W. Boyer, and D Scott (2018), Thresholds of lake and reservoir connectivity in river networks control nitrogen removal. Nature Communications, 9:2779, doi: 10.1038/s41467-018-05156-x. • Grant, S. B., J. D. Gomez-Velez, and M. Ghisalberti. Modeling the Effects of Turbulence on Hyporheic Exchange and Local-to-Global Nutrient Processing in Streams. Accepted for publication in Water Resources Research. • Harvey, J.W., J. D. Gomez-Velez, N. Schmadel, D. Scott, E. Boyer, R. Alexander, K. Eng, H. Golden, A. Kettner, C. Konrad, R. Moore, J. Pizzuto, G. Schwarz, C. Soulsby, and J. Choi (2018), How hydrologic connectivity regulates water quality in river corridors. Accepted for publication in JAWRA Aquatic System Connectivity Featured Collection. • Gomez-Velez, J.D., J. W. Wilson, M.B. Cardenas, and J.W. Harvey (2017), Flow and Residence Times of Dynamic River Bank Storage and Sinuosity-Driven Hyporheic Exchange, Water Resources Research, doi: 10.1002/2017WR021362. • Marruedo Arricibita, A. I., J. Lewandowski, S. Krause, J. D. Gomez-Velez, and D. M. Hannah (2017), Mesocosm experiments identifying hotspots of groundwater upwelling in a water column by fiber optic distributed temperature sensing, Hydrological Processes. doi: 10.1002/hyp.11403. • Gomez-Velez, J.D., J.W. Harvey, M.B. Cardenas, and B. Kiel (2015), Denitrification in the Mississippi River network controlled by flow through river bedforms, Nature Geoscience, doi: 10.1038/NGEO2567. • Sherson, L. R., D. J. Van Horn, J. D. Gomez-Velez, L. J. Crossey, and C. N. Dahm (2015), Nutrient dynamics in an alpine headwater stream: use of continuous water quality sensors to examine responses to wildfire and precipitation events, Hydrological Processes, doi: 10.1002/hyp.10426. • Gomez-Velez, J. D. and J. W. Harvey (2014), A hydrogeomorphic river network model predicts where and why hyporheic exchange is important in large basins, Geophysical Research Letters, 41, doi: 10.1002/2014GL061099. • Gomez-Velez, J. D., S. Krause, and J. L. Wilson (2014), Effect of low-permeability layers on spatial patterns of hyporheic exchange and groundwater upwelling, Water Resources Research, 50, doi: 10.1002/2013WR015054. • Frisbee, M. D., J. L. Wilson, J. D. Gomez-Velez, F. M. Phillips, and A. R. Campbell (2013), Are we missing the tail (and the tale) of residence time distributions in watersheds?, Geophysical Research Letters, 40, doi: 10.1002/grl.50895. • Gomez, J. D. and J. L. Wilson (2013), Age distributions and dynamically changing hydrologic systems: exploring topography-driven regional groundwater flow, Water Resources Research, 49, doi: 10.1002/wrcr.20127. • Gomez, J. D., J. L. Wilson, and M. B. Cardenas (2012), Residence time distributions in sinuosity-driven hyporheic zones and their biogeochemical effects, Water Resources Research, 48, W09533, doi: 10.1029/ 2012WR012180.